Annette Oton has her way. ?We almost always sell out. We generally have people who call Amref for anything not sold,? Oton, who has curated the ArtBall since its inception, tells TNJ. ?I?m looking to organize African art exhibits throughout the year to show some of the work from the previous years. I?m also trying to coordinate an online platform of my own to do so.? If none of that happens, you?ll have to wait until ArtBall 2019 to bid on some of Africa?s hottest contemporary-art works. Stay informed at www. amrefusa. org. Inaugurated in 2016, the ArtBall is an annual, contemporary-African-art auction the proceeds of which support Amref Health Africa?s work in training local, African health workers and building community health systems. Amref, formerly the African Medical and Research Foundation, was founded in Kenya in 1957 and remains the continent?s largest health NGO. The ArtBall was Amref ?s idea to introduce the organization to New York City while raising funds for its work in Africa, given the current boom in contemporary-African art. Oton became involved after a friend referred her to the ArtBall producer for the launch of the event. 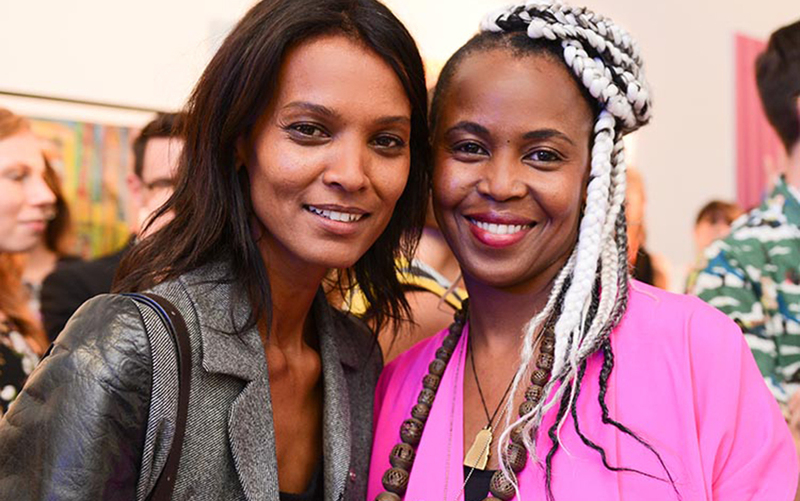 The ArtBall comprises an auction of selected works of dozens of African contemporary artists, which goes live online 15 days prior to the night of the ArtBall gala and remains open until the gala ends around 11:00 PM. Sales have surpassed fundraising targets of the last two years. ?We started small scale, looking to raise $100,000 and we raised $150,000. The second year we projected $200,000 and ended up with $250,000. This year we?re projecting $275,000 to $300,000,? Oton says. A variety of works are offered, including photography, sculpture, paintings, mixed media, drawings, prints and works on paper. ?I select artists that are emerging and also well-known artists. I also have reached out to galleries and collectives. Part of it has to do with where African art is ? whose work speaks volumes in terms of ideas, and we particularly make sure that we select a range of work that shows the thematics of the African continent,? Oton told TNJ in her exclusive interview. ?The other idea is to make sure I have African women? represented.? Bidding starts at $350. The most expensive piece is $10,000. The intention is not to do highly priced art, Oton says. ?We wanted it to be affordable for young professionals because we look at them as the audience that will grow with us and buy art.